How much is Marques Brownlee Worth? Marques Brownlee net worth: Marques Brownlee is an American social media personality who has a net worth of $4 million. Marques Brownlee was born in Maplewood, New Jersey in December 1993. 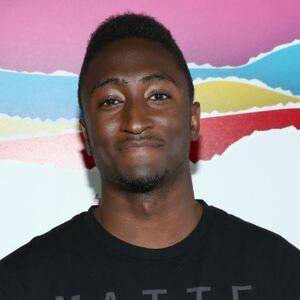 He is best known as MKBHD on YouTube where he has more than eight million subscribers and one billion views. At a 2016 Democratic presidential primary debate he asked the candidates about tech companies and the government finding a middle ground when it comes to encryption, privacy, and national security. Brownlee joined YouTube in 2008 and started uploading technology videos in 2009. He has been called "the best technology reviewer on the planet right now" by former Senior Vice President, Social for Google Vic Gundotra. Marques Brownlee started a Smartphone Award Series in 2014. He is a professional ultimate frisbee player and has played for the Philadelphia Phoenix and the Garden State Ultimate. Brownlee has also played in the American Ultimate Disc League for the New York Rumble.